TOPICS:Jail Booking ReportWho Got Busted? 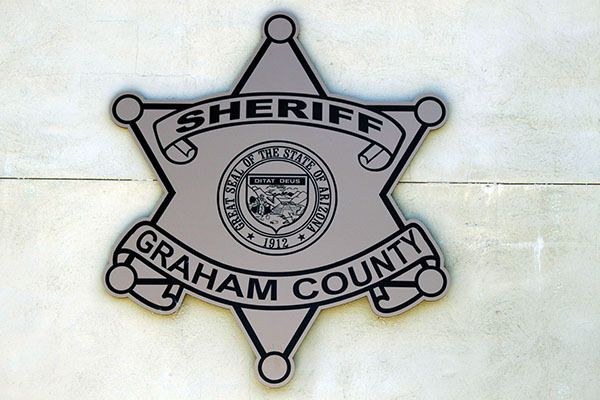 Following is a listing of bookings from the Graham County Jail from Oct. 31, 2016, through Nov. 6, 2016. All information is from the jail’s booking roster. While the following have been incarcerated, each person is considered innocent until found guilty in a court of law. Brandon Jensen, 18, warrants, DPS. Rafal Altameemi, 20, aggressive driving, false reporting to law enforcement, DPS. Sergio Lira, 39, warrant, DPS. Tyrome Nelee, 23, assault, disorderly conduct, disorderly conduct with a deadly weapon, GCSO. Gabriel Rope, 36, warrant, SPD. Bernie Kin, 31, warrant, SPD. Michael Lucero, 54, commitment order, self. Amiel Proto 30, warrant, SPD. Jose Mendez, 26, warrant, SPD. Gene Thomas, 60, DUI, open container of liquor in passenger compartment of a motor vehicle, TPD. Dakota Alexander, 20, possession of drug paraphernalia, GCSO. Randolph Dalzine, 32, warrant, SPD. Cody Gasca, 26, commitment order, warrant, GCSO. Vanessa Contreras, 30, shoplifting, SPD. Eileen Baker, 28, warrant, GCPD. Evelyn Young, 41, warrant, SPD. Patrick Pendley, 21, warrant, GCPD. William Donahue, 50, warrant, GCSO. Angeline Vallejos, 35, probation violation, GCPD. Dustin Upshaw, 24, shoplifting, false reporting to law enforcement, SPD. Jessica Payne, 31, warrant, GCSO. Reynaldo Quintana, 53, commitment order, self. Hunter Madrid, 19, assault, underage alcohol violation, SPD.. Adam Flores, 31, warrants, GCSO. Charles Scott, 62, disorderly conduct, SPD. Kipper Scott, 55, disorderly conduct, SPD. Christy Granados, 38, warrant, GCSO. Kevin Salmon, 26, warrant, SPD.